Though our title to this article specifies the primacy of St. Peter as the Prince of the Apostles, we shall consider not only the God-given role entrusted to the Head of the Apostolic College, but also the establishment of the hierarchical structure of the Church in general. 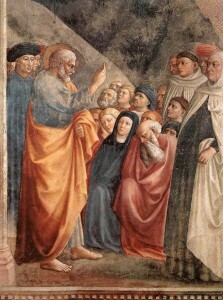 We offer this little article as a work of apologetics: An attempt to demonstrate, from the scriptural witness alone, that the Papacy and the College of Bishops is not man-made but is of God. Rather than multiplying citations of the Sacred Text (indeed, there are many hundreds of references to the hierarchical structure of the Church in both the Old and New Testaments), we will consider only a few particularly important passages. I offer this meager piece in honor of our Holy Father, Pope Benedict XVI, on this the 60th anniversary of his ordination to the priesthood of Jesus Christ. If the whole Christ is present under both species of the Eucharist, why do we say "The Body of Christ" and "The Blood of Christ"? When we recognize as dogma that “Christ whole and entire is under the species of bread, and under any part whatsoever of that species; likewise the whole (Christ) is under the species of wine, and under the parts thereof” (Council of Trent, session XIII, chapter III), such that the body and blood of Christ are present both in the Host and in the Chalice, we may wonder why it is that the priest calls one species the body of Christ and the other the blood of Christ. Since we receive the whole Christ (body and blood, soul and divinity) when we receive communion, why does the priest not distribute communion with the words, “The body and the blood of Christ”? As we consider the manner by which Jesus is present, whole and entire, under both Eucharistic species, we will come to appreciate the custom of the Church. 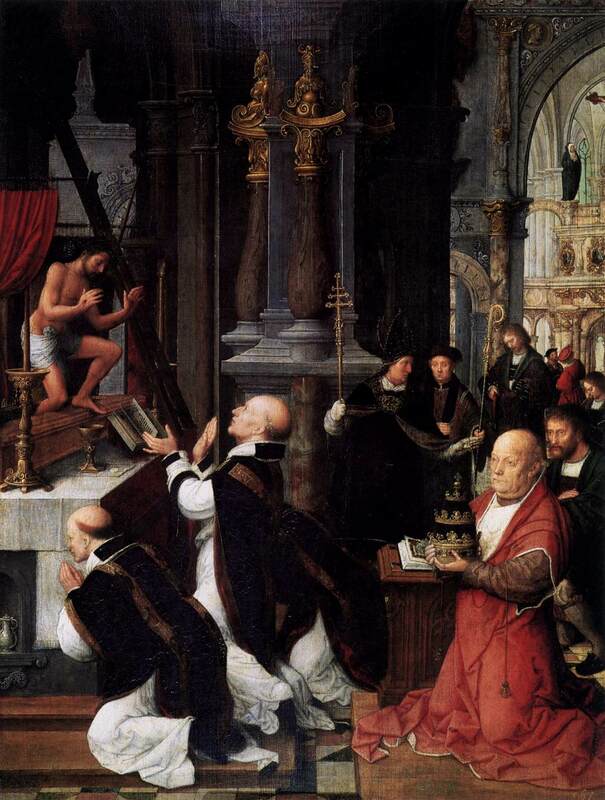 Moreover, we shall see that what may seem to be a purely speculative question of theology bears great importance on the Catholic understanding of how the Mass is a sacrifice. I am the living bread that came down from heaven; whoever eats this bread will live forever; and the bread that I will give is my flesh for the life of the world. […] Whoever eats my flesh and drinks my blood has eternal life. […] Whoever eats my flesh and drinks my blood remains in me and I in him. Most, though not all, Protestants wiggle and fidget as they come to the Bread of Life Discourse in the sixth chapter of the Gospel according to St. John; and they have good reason to be disturbed! Our Savior speaks quite plainly of the Eucharist when he states, For my flesh is meat indeed: and my blood is drink indeed (John 6:56). The common solution for many modern Protestants (following the path set out by Zwingli) is to call upon the words which follow toward the end of the discourse: It is the spirit that quickeneth: the flesh profiteth nothing. The words that I have spoken to you, are spirit and life (John 6:64). Appealing to these words, which reference the spirit as opposed to the flesh, these Protestants will claim that the Bread of Life Discourse is an extended metaphor. It is well known that most feast days commemorate the day that the given saint died. Occasionally, the feast will be on the day of the movement of the saints relics (as in the case of Sts. Thomas Aquinas and St. Benedict, according to the new calendar) or, for a pope, it will occasionally happen that the feast will fall on the day of the saints ascendance to the papacy (as in the case of Bl. John Paul II). However, it is almost entirely unheard of that a saint’s feast should commemorate his day of birth. The principle reason why the feast day of a saint is (almost) never on his birthday is that a saint is not born holy, but grows to spiritual perfection through his life. There are, however, three important exceptions to this rule: The Nativity of Jesus (i.e. Christmas), the Nativity of the Blessed Virgin Mary, and today’s feast of the Nativity of St. John the Baptist. These three – Jesus, Mary, and John the Baptist – are recognized by the Church’s liturgy as having been born holy and filled with the Spirit of God. 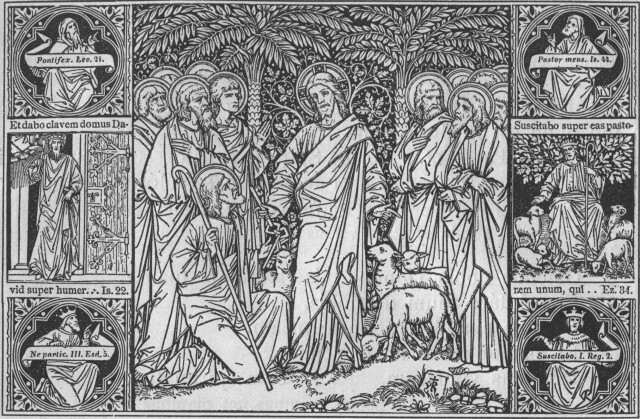 Obviously, the three births are different: For Christ was free of original sin without having needed to be redeemed, Mary was freed from original sin by a unique redemptive grace of preservation, and John the Baptist was forgiven original sin when still in the womb. Still, the grace of being forgiven of original sin and filled with the Holy Spirit while yet in the womb seems to be quite exceptional and extraordinary – how blessed St. John was to receive this gift! In a previous post, we considered the special graces given to St. John and questioned what this might mean for the supposition of a limbo of the children. 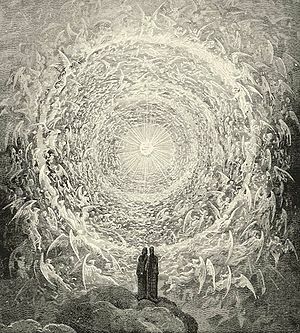 In our current article, we will discuss what limbo would be (if it did exist) and point out just how bold a claim it is when theologians speculate that non-baptized infants may go to heaven. Does the Real Presence remain after a Eucharistic Miracle? Although there is a popular tradition which connects the institution of the feast of Corpus Christi with the Eucharistic Miracle of Bolsena-Orvieto, there seems to be little historical basis for such an assertion. The Catholic Encyclopedia credits the Feast not to the miracle of Orvieto, but to the visions of St. Juliana of Mont Cornillon, who lived in Belgium through the early part of the 13th century. However, though it may be true that there is little historical connection between this Eucharistic Miracle and the promulgation of the Feast of Corpus Christi, the popular devotion of the faithful (especially of those in Italy) and the great festivities celebrated each year in these two Italian towns, calls to mind this Eucharistic Miracle as we celebrate today this holy Solemnity. As we consider the reality of Eucharistic Miracles, we may be led to a further question: If we believe that the Real Presence remains in the Eucharist so long as the accidental properties remain (i.e. that Christ is present so long as the Eucharistic species remains in the appearance of bread or wine), what are we to make of Eucharistic Miracles in which the species ceases to appear as bread or wine and instead is physically and accidentally changed into flesh and blood? 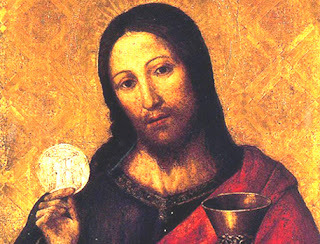 Does Christ remain in the Eucharist after a Eucharistic Miracle? And, if he does remain, are we to conclude that the miraculously visible flesh and blood is physically the very same flesh and blood which was conceived and born of the Blessed Virgin Mary? 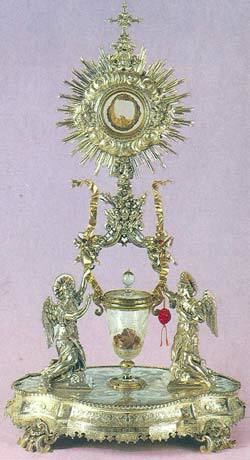 In other words, is a Eucharistic Miracle something like a relic of Jesus? In such a complicated question, we do well to turn to the Angelic Doctor for guidance. We recall that St. Thomas Aquinas is “the greatest theologian and impassioned poet of Christ in the Eucharist” – summus theologus simulque Christi eucharistici fervidus cantor (Bl. John Paul II, Ecclesia de Eucharistia 62). This alone is the one difference between Christ’s body in heaven and Christ’s body in the Eucharist is a difference of the mode of existence – not a difference of substance or reality, nor less a difference of identity (for there is only one Christ and he has only one body). The Church teaches that our Savior is present in heaven “according to the natural mode of existing”, while he is present in the Eucharist by another “manner of existing”, that is “under the species of those visible things” of bread and wine. As we consider this teaching from the Council of Trent, we will recognize why it may not be helpful to speak of our Savior as being “physically present” in the Eucharist. I offer this reflection as the first part of a four part series on the Eucharist, in preparation for the solemn Feast of Corpus Christi. God so loved the world that he gave his only Son, so that everyone who believes in him might not perish but might have eternal life. 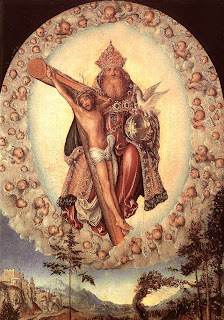 As the Catholic blogosphere goes wild with the latest scandal, we offer a final article on the Trinity for the Solemnity of this Sunday - we turn now to the role which the Most Holy Trinity must play in our spiritual life. Very often, while we recognize and believe that God is the Father and the Son and the Holy Spirit, we do not recall how central the mystery of the Trinity is to our life of prayer. 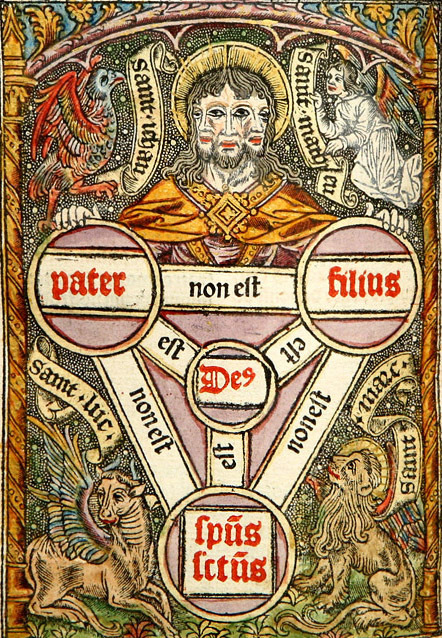 It will be good for us to examine our interior life and consider: How often do I meditate on the Trinity? Do I regularly meditate on the revelation of the Trinity which was given me in Christ? Am I utterly convinced of the love of the Most Holy Trinity, a love so great that the Son came to assume my sinful flesh and die so that I might live? In previous articles from the past week, we have considered the Trinity per se as the central mystery of our Faith. Now, on the Solemnity, we look to the Trinity not merely as our salvation, but as the principle mystery which inspires our interior life. To this end, we must consider the love with which the Trinity sent the Son into the world. As our Savior tells us, For God so loved the world, as to give his only begotten Son; that whoseoever believeth in him, may not perish, but may have life everlasting (John 3:16). 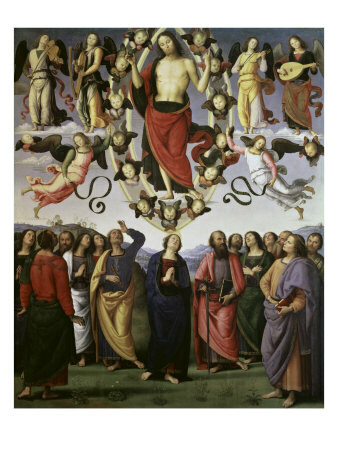 “The ultimate end of the whole divine economy is the entry of God’s creatures into the perfect unity of the Blessed Trinity.” (CCC 260) This is the salvation of man: The everlasting enjoyment of the Most Holy Trinity. Thus, the dogma of the Trinity is no mere theoretical exercise of academia, but is rather most intimately united with man’s fulfillment and happiness. Still, we know that man’s nature does not demand the revelation of the Trinity – for the revelation of God is supernatural and entirely exceeds the demands of nature. Hence, it would be possible for man to be fulfilled and perfectly happy on a natural level without attaining to the vision of the Blessed Trinity, without coming to the beatific vision of the Divine Essence. Still, salvation proper (i.e. the supernatural salvation gained through the gift of grace) necessitates the vision of God as he is, the Most Holy Trinity. A brief consideration of how the Trinity is our salvation, will prepare us for the upcoming solemnity of Trinity Sunday. Are there three personalities in God, an "I" of the Father and an "I" of the Son and an "I" of the Holy Spirit? In a previous article, we discussed whether it is proper to speak of two personalities in Christ – a divine personality and a human personality. We had argued that, according to the Scriptural witness and the Apostolic Tradition, there is only one “I” or ego in Christ Jesus (just as he is only one person). Indeed, if Christ can say “I” – referring to himself both in his humanity and in his divinity with the same “I”, the same ego – and if we may say that the Lord is a “he” rather than a “they”, it is hard to understand how any can believe that there are multiple egos or “I”s in Jesus. 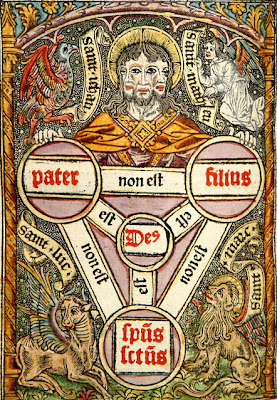 As the Church approaches the feast of Trinity Sunday, it will be good for us to consider whether there are three personalities in God. Is there an “I” of the Father, and an “I” of the Son, and an “I” of the Holy Spirit? We know by faith that there are three persons, and this would lead us to think that there are also three “I”s. In this study, as in our previous considerations of the personality of Jesus, we will look principally to the Sacred Scriptures. Indeed, we must admit that this primary focus on the Bible (and on the Apostolic Tradition) seems to be lacking in much of modern theology. In this respect, modern(ist) theology has lost its soul – for Scripture must be the soul of theological study. In preparation for Trinity Sunday, we will dedicate several posts this week to this central mystery of the faith. First considering more theoretical questions about the Trinity, we will conclude with two articles on the relation of the Trinity to man as his salvation. 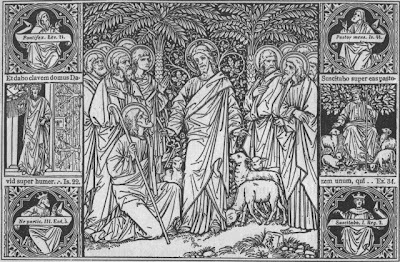 Did the apostles speak in tongues? What is particularly marvelous about this first public act of preaching by the Church is that each of these peoples, from all their diverse cultures, heard the apostles speaking in all the diverse tongues or languages of the nations. As the apostles preached, the Parthians heard Parthian, the Medes heard Median, the Elamites heard their own language, and so forth. 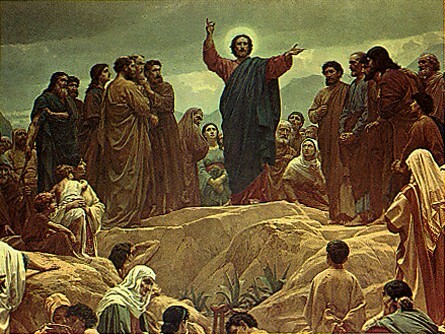 Interpreting this passage, some are inclined to think that, while the apostles spoke only one language (Aramaic), this single tongue was transformed in the ears of the audience into all the diverse languages of the nations – thus, the miracle would not be in the preaching itself, but in the listening (since the one language of the apostles would be heard as multiple languages by the audience). However, as we look closely at the text, we can see that this interpretation is flawed and that the miracle was in the preaching more than in the hearing. Could Jesus speak in tongues? 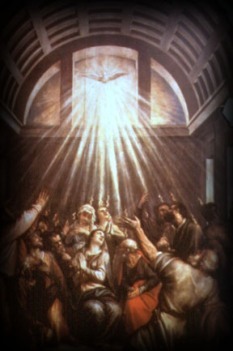 When we consider the charism of speaking in tongues, we recognize that (like all graces) it must flow through the instrumental power of the humanity of Christ. Therefore, it is clear that, if the apostles spoke in tongues, the Lord Jesus must have spoke in tongues in a manner at least as excellent (or even more excellent). Thus, we may ask: Could Jesus speak in tongues? At charismatic prayer services (whether Catholic or not), it is not at all uncommon to hear individuals “speaking in tongues”. This phenomenon, as expressed in these meetings, is often claimed to involve deep spiritual movements such that the individual speaks almost without control – and by “speaks”, I do not mean to imply any intelligible speech, but rather only to state that the individual will pour forth various audible sounds. On the other hand, it sometimes happens that this “speaking in tongues” is not claimed to be so much an external movement of the Spirit as a conscious act of the individual. At will, or at least mostly at will, the individual believer who has been “baptized in the Spirit” is purported to be able to “speak in tongues” – but again, this “speaking” is not the articulation of rational dialogue, but only the pronouncement of a random collection of syllables. Rather than entering into a general discussion of the charismatic renewal (to which I, personally, am quite open; and which I think has helped many people), we will benefit from a consideration of the scriptural account of the charism of tongues. What is speaking in tongues? And ought we to imagine that this phenomenon would be common today? 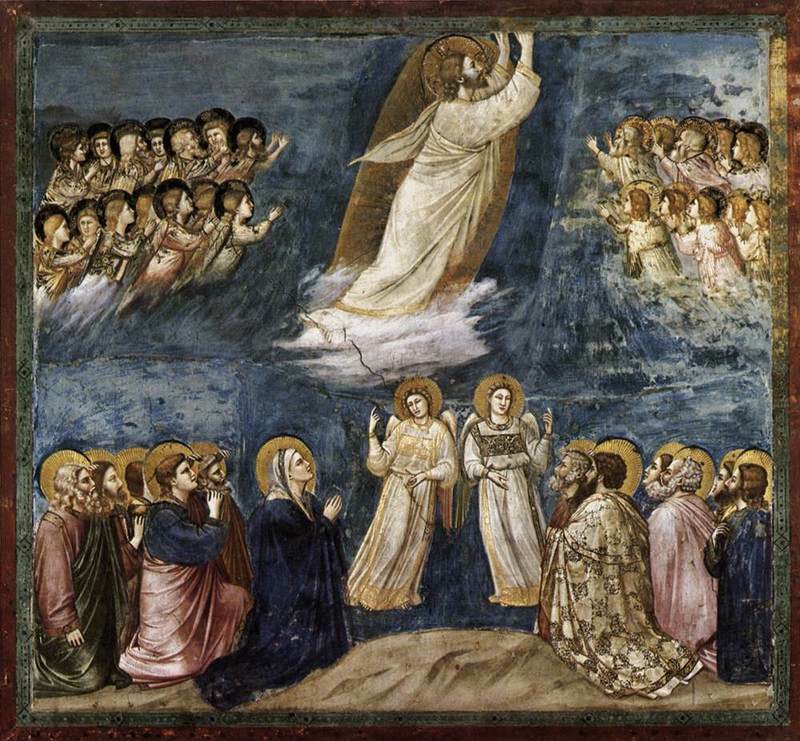 Could there be any 1st class relics of Jesus after the Ascension? Jesus has Ascended to heaven not only in his soul, but in his body also. 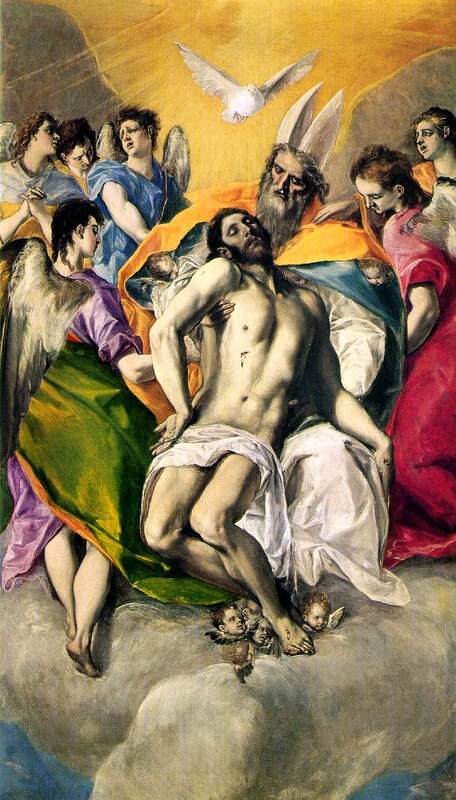 The very body which he received from the Virgin Mary, which grew to adulthood, which suffered, died and was buried, which rose again and remained for forty days – this very body has been taken up into heaven. While it is true that some have claimed to possess first class relics of Christ (e.g. The Holy Prepuce), the historical veracity of these claims is dubious. Setting aside the historical question of the authenticity of the various first class relics of Jesus, we would do well to consider the theological question: Is it even possible that a piece of Jesus’ body could remain on earth as a first class relic after his Ascension? Given that the very body of Christ has been raised, glorified, and taken up into heaven, could there be any remnants of the body of our Savior still on earth? 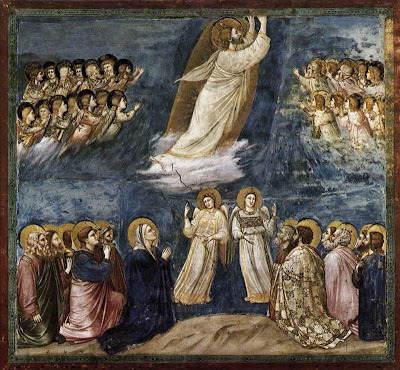 Where is Jesus' body after the Ascension?